...but people got tired of me screaming, "I'm Going to Die!! I'm Going to Die!!" 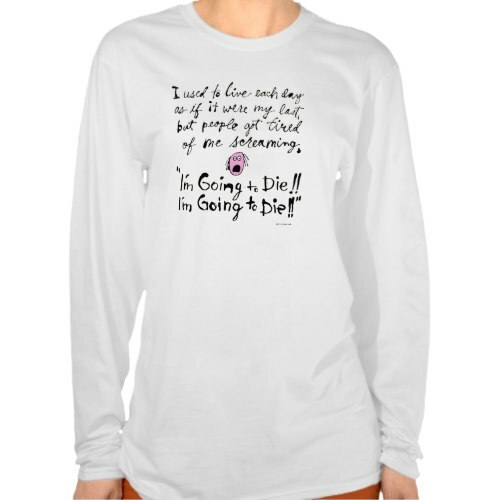 A funny, hilarious t-shirt, with its literal take on the age old adage "Live each day as if it were your last!" Makes a fun, humorous gift for the English language professionals & students, English literature aficionados, Zen teacher & pupils, self-help book lovers, family, friends, and yourself.